Not taking over the world stuff, but little things. Snuck into naptimes, squeezed in during quiet early mornings. Too many batches of toffee crack on crack. 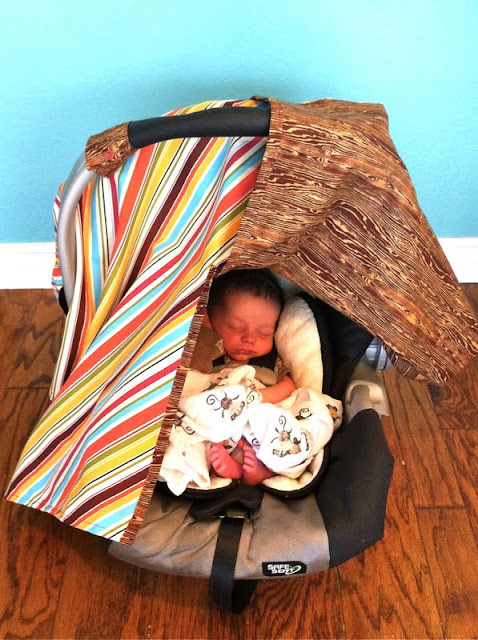 A car seat tent to keep the sunshine and tiny ugly germs off of the little man. Made something fun for Lil Blue Boo's What would YOU make? Here is a sneaky peek. 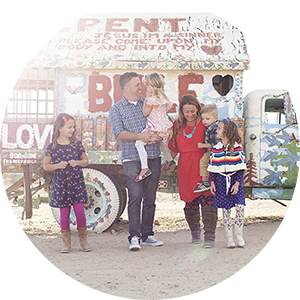 Arrived at to church (early) with all four kids. BOOM! But mostly I am sitting on the couch with a happy hungry baby. I love how he's in the same pose as his big sister for the 'car seat tent' shot! Yahoo!!!!! Today I was so happy because my baby slept through the witching hour giving me time to help the others with their homework. You need to know that your adorable little man is making my uterus glow. Baby fever. Bad, right here. Love his baby piggies. Too cute! And don't forget all the photos you took - that is an accomplishment of the highest order (especially if I can remember to charge my battery). "That got shut down" is hilarious. Oh my. Love the baby boy. That wood fabric is...awesome. I've never seen anything like it. I am Doris,from what I can read. It has been sad news and scam to everyone about Voodoo casters or so. But to me they are so real cause one worked for me not quite two weeks.i met this man on a blog his name is irumonle oduakar is a very powerful man.I traveled down to where his shrine his and we both did the ritual and sacrifice.he had no website site, and now me and my ex are living very ok now.I don't know about you but Voodoo is real;love marriage,finance, job promotion ,lottery Voodoo,poker voodoo,golf Voodoo,Law & Court case Spells,money voodoo,weigh loss voodoo,diabetic voodoo,hypertensive voodoo,high cholesterol voodoo,Trouble in marriage,Barrenness(need a child),Luck, Money Spells,it's all he does. I used my money to purchase everything he used he never collected a dime from. He told me I can repay him anytime with anything from my heart. Now I don't know how to do that. If you can help or you need his help write him on (nativedoctor101@live.com) i belive that your story will change,or if you have any question you can contact me here as dorispinto101@gmail.com Thank you.